Grand and luxurious. These are the two most prominent characteristics that define Brentville living. 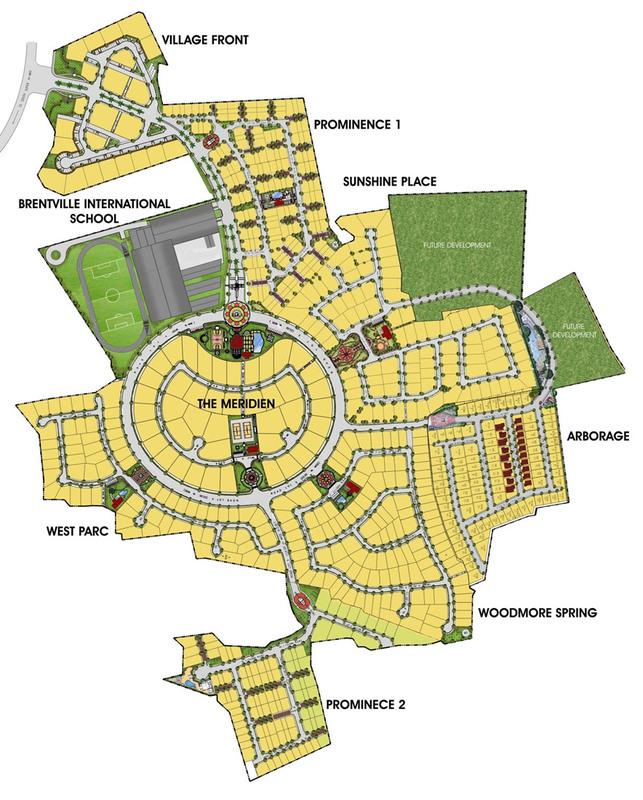 Belonging to this brand are the residential cluster of the Meridien, Sunshine Place, West Parc and Woodmore Spring which offers prime lots with areas ranging from 300 to 1,400 square meters. The bigger cuts provide the most discriminating residents more than enough space to build their own homes and showcase sophistication. Buyers can also choose from our roster of House and Lot packages from the elegant Madonna, Mona Lisa and Diana Masterpieces up to the grandiose Larissa all built in superior quality and with ample spaces for various family activities. Brentville International Community, or simply Brentville, is Filinvest's flagship high end project located in Mamplasan, Biñan, Laguna. This 53-hectare fully developed world class community, on its full occupancy, will only house about 800 residents. The unique part is, it is dedigned where the lots are placed in clusters to avoid the dense feel. Each cluster is configured to have its own security and amenities for the exclusive use of its residents. Brentville is a Southern-Californian Mediterranean-themed enclave of eight clusters, each boasting architectural aesthetics, functional amenities, and world-class features. 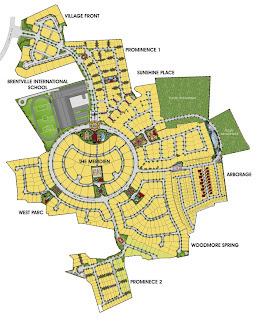 One has a full expanse of choices from the mixed townhomes and single detached clusters of Prominence I and II, up to the single detached homes of Sunshine Place, Woodmore Spring, West Parc, and the premier Meridien. Lots for these clusters range from 300 to 1,400 square meters. 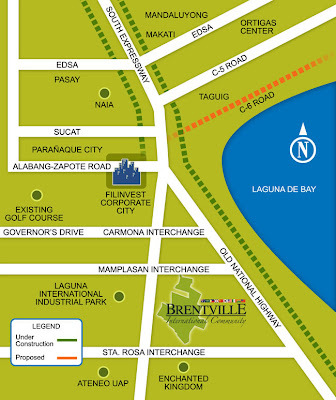 To cater to the needs of the residents, Filinvest has allocated 4.4 hectares near the main gate for its now operational commercial area - The Village Front - which is now gradually becoming a location for some of the finest shops and restaurants all within walking distance from the residential clusters. To complete Brentville's product line up, the expansion phase which is The Arborage has finally opened up with lot cuts ranging from 168 to 300 square meters. 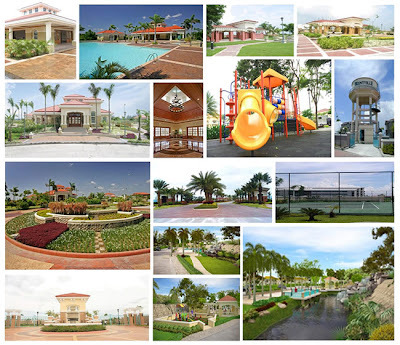 Brentville offers the most elegant and prestigious houses in all of Filinvest's projects. Furthermore, houses can be owned by a family even if they are foreigners! Village Front - offers commercial lots for business owners. Conveniently located in front of the main gate and directly across Unilab's office, these lots cater the whole community and even neighboring offices!